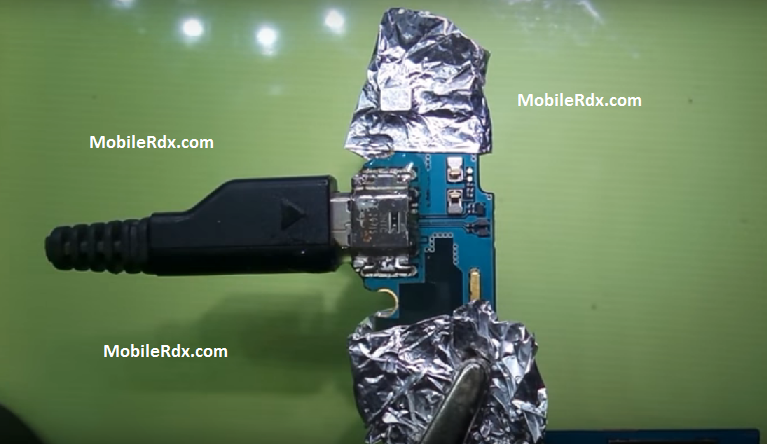 Today we are going to give in this post, how to how to change charging connector of Samsung Galaxy J1 J100H by change charging port solution. In this type of problem you can not charge your phone. Samsung Galaxy J1 is a fair quality Android device launched more than a year ago, featuring a good Dual-Core processing unit clocking at 1.2 gigahertz, a 4.3 inches capacitive touch-screen, and 2 cameras, a 5 MP back facing camera and a 2 mega-pixels front facing camera. But it’s time to get into much more details. Samsung decided to build this cellphone using a fast Dual-Core processor running at 1200 megahertz and 512 MB of RAM. This cellphone has a fair 4 GB internal memory, which is enough for the vast majority of users having that it also has an SD extension slot . This device features two cameras, a 5 mega-pixels back-facing camera and a 2 mega-pixels front camera. It can also film videos up to 1280×720 (HD) at 30 frames per second. In addition, this phone’s camera also features a few useful characteristics like flash, auto-focus, face detection shooting, smile detection shooting and geo tagging. The J1 counts with a medium 1850 mAh removable battery that can keep this phone running for several hours.